The Bethune-Cookman Wildcats (2-0) travel south this weekend to take on the Florida International Panthers (0-2) in Miami on Saturday night at 6:00 p.m. The Wildcats will look to improve to 3-0 on the season, 3-0 all-time against FIU, and secure its first ever win over a FBS opponent (FIU had not yet made the jump to the FBS level when the teams last meet in 2003). The Vegas sports betting odds opened on Monday with FIU favored by 3 points. The betting line moved 5.5 points in BCU’s favor within an hour of the spread being posted and another .5 point within 2 hours. By 3:45 p.m. on Monday afternoon, BCU had gone from 3 point underdogs to 3 point road favorites. You heard right; that is not a misprint. Vegas has a road FCS squad (BCU) favored by 3 points over a FBS team (FIU) in their home stadium. OUCH!!! Vegas sports betting trends suggests the “wise guys” otherwise known as professional gamblers saw value in BCU and bet the line in BCU’s favor. The line has remained the same for most of the week. Florida International is ranked dead last in the nation in scoring offense averaging a mere 5 points per game. Defensively the Panthers are allowing 483 yards per game and rank 108th out of 123 FBS teams. Ron Turner started 11 new players when FIU took on Maryland in week one. The team has dealt with a rash of injuries in their first 2 games of the year. The injuries are compounded by the already heavy attrition issues resulting from a tumultuous offseason in which FIU’s leading receiver, Glenn Coleman; starting running back, Kedrick Rhodes, and cornerback Richard Leonard were all ruled ineligible for academic reasons. Transfer running back Jakhari Gore was kicked off the team for off the field issues. Meanwhile Bethune-Cookman is averaging 362 yards and 39 points per game on offense while yielding just 215 yards and 8 points per game on defense. 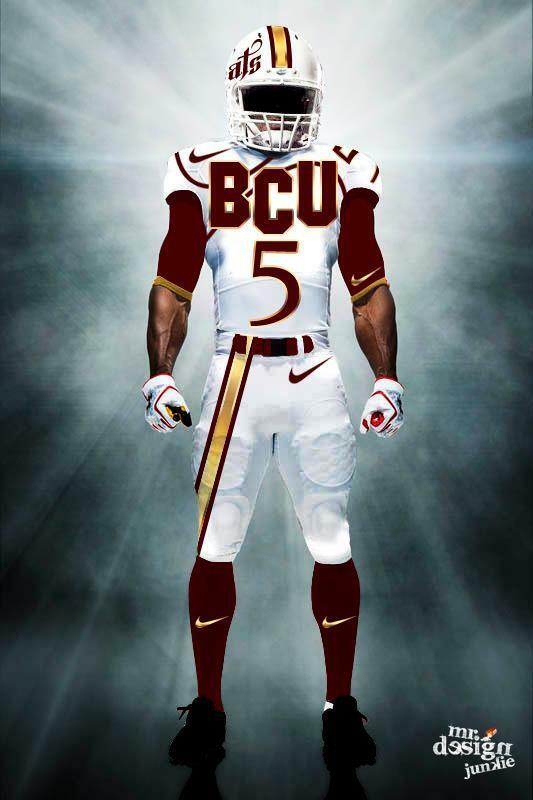 BCU is unbeaten in their two prior meetings with FIU defeating the Panthers 31-0 in 2002 and 24-14 in 2003. Like this season, BCU was ranked in the FCS Top 25 at the time of their prior clashes with the Panthers (#21 in 2002 and #7 in 2003). A win on Saturday will mark the first time in the history of the BCU football program and only the 2nd time in MEAC history that a conference school has defeated a current FBS foe. Florida A&M defeated the University of Miami 16-13 in 1979. The Marching Wildcats will join the football team at Alfonso Field on Saturday. “The Pride” has performed in Nashville, Daytona, Jacksonville, and now Miami in less than 14 days. The band is also expected to travel to Tallahassee for the Florida State contest on the 21st and will soon make an appearance at Raymond James Stadium for a Tampa Bay Buccaneers game according to what we are being told. Give it up for the band. The game will be streamed live at FIUSports.com. Kickoff is scheduled for 6:00 p.m.